Late life marriages and will changes can result in estate litigation and will challenges. The demographics and aging population in our society are leading to more late life marriages. Second or third marriages are becoming more common. We see more late life marriages between people with a significant age gap. These situations pose difficult issues for estate lawyers, because a person may legally have the capacity to get married, while at the same time lack the capacity to make a will. Many people forget that marriage itself, automatically impacts the financial plan of both individuals and in Ontario voids an existing will unless the will is made in contemplation of the marriage. In Banton v. Banton, a young waitress befriended an elderly testator. Over time a romantic relationship developed. The short courtship led to marriage. The Court ultimately determined that the younger woman unduly influenced the testator into making a new will and disinheriting his own children. However, this did not mean that the children would ultimately win this case. One of the main issues in Banton v. Banton was whether Mr. Banton had the capacity to make a will. The validity of the most recent will was attacked by Mr. Banton’s children who were beneficiaries under an earlier will. The other issue was whether Mr. Banton had the mental capacity to marry. Even though the Court held that the testator did not have sufficient capacity to dispose of his property in a will, it held that he did have capacity to marry. The standard of capacity to marry is much easier to meet. Mr. Banton understood the benefits and responsibilities that come from making a commitment to marriage. In the end, the opportunist waitress was still entitled to financial benefit as Mr. Banton’s rightful wife. Estate litigation becomes more complicated if an estate lawyer’s opinion on the testator’s mental capacity is different from the opinion of a support worker or a close relative. Late life marriages create many difficult estate law questions which may lead to significant consequences for the estate. Late life marriages can bring up all kinds of hostile emotions as potential beneficiaries of the estate may believe the new person is attempting to exploit and or manipulate their elderly relative. There are many instances when potential beneficiaries may have to take steps to protect the elderly relative from being targeted by an exploitative or manipulative relationship. This is why it is important to retain the advice of an experienced estate litigation lawyer. 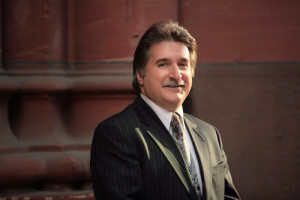 Charles Ticker is an experienced Toronto estate lawyer and he will work with you to help you understand the legal issues and will represent your interests throughout the estate litigation process. Late life marriages can be difficult to manage from an estate administration perspective, especially if the estate plan of an elderly testator is modified. Many potential beneficiaries may be seeking to revoke and change made to the estate plan especially these beneficiaries receive less under the revised plan, or are “cut out” of the will altogether.